Eber Bessa played 25 matches this season. The Portuguese midfielder Eber Bessa joined his current team, Vitoria Setubal (Portugal), in July 2018. He stands 168cm high and thus is 13cm smaller than his team on average. In terms of preferred feet, he is a right footer, like 82% of Vitoria Setubal. Born on March 21, 1992, Eber Bessa's age of 27 exceeds his team's mean. 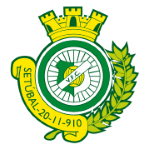 The club of Eber Bessa, Vitoria Setubal, presently holds third position in group Gr. 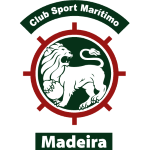 B of League Cup (Portugal) and 13th position in Primeira Liga (Portugal). He plays with the jersey number 10. Throughout his time as professional football player, Eber Bessa was sanctioned with a card 31 times resulting in a mean value of 3.1 cards per play time. This season he was given seven yellow and one yellow-red cards. The briefest time his spent on a team counts ten months in his present club. He reached the 120 appearances milestone as a professionl, the last one being eight days ago. The current Primeira Liga 18/19 (Portugal) term proves to be good for Eber Bessa, as he managed to score twice (0.08 per match) and provide an assist five times (0.2 per match). Basically, 8.3% of Vitoria Setubal's goals in Primeira Liga 18/19 were caused by him. He impressed in Primeira Liga 16/17 (Portugal), reaching his personal record of goals. Altogether, he was substituted in 36 and out 41 times. Currently, he left the pit more than he entered it which is different to last season wherein he did the opposite. Eber Bessa's squad lost 67% (100% home) in League Cup and concluded in a tie in 50% (60% home) in Primeira Liga. The highest win streak of the last 5 matches happened in Primeira Liga with a count of 2.